Did the Medieval Parent love their Children? 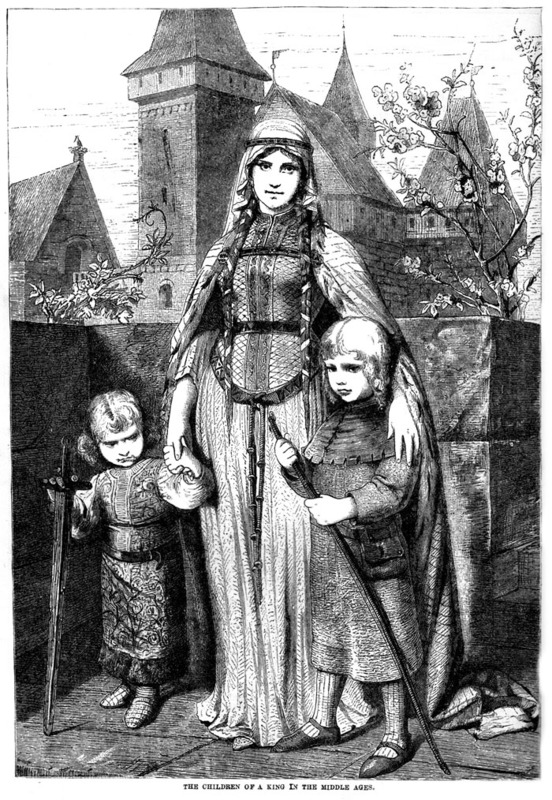 The path that the medieval child took was one that was forced on them by their parents, often for the benefit of that families wealth and status. As soon as they could pick up a sword, sons were dispatched to learn the art of war, and the female child, who was betrothed in the cradle was married as a teenager, often to someone who was old enough to be their father. I wonder, did these medieval parents show any emotion when they used them as pawns, when one child was out of the door, were they planning how best they would benefit from the next? 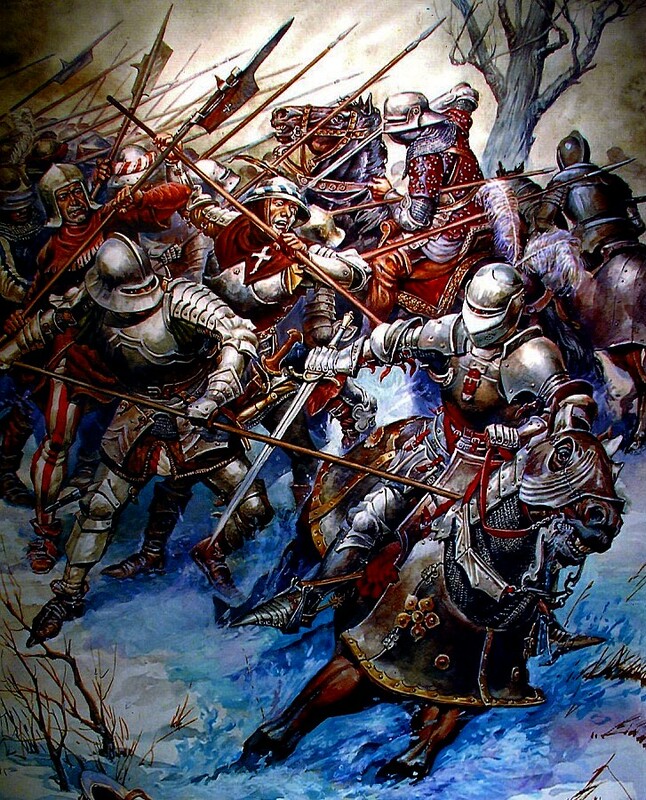 July 1474 was followed by the Battle of Hericourt in the November. 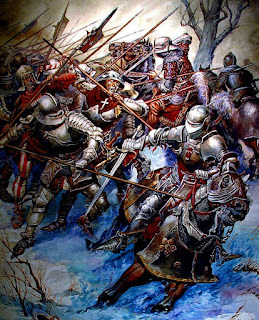 The Battle of Nancy, an attempt by Charles the Bold to retake the town from the Duke of Lorraine, who had held it since the end of 1476, was fought in the winter of 1477. The weather was severe, many of Charles's men died due to the cold and the rest fled when they realised that the advancing army outnumbered them, but Charles stood firm at the head of his remaining army. Suffering much the same blow as his brother in law, Richard III would eight years later, Charles was struck by a halberd and died outside the town walls. 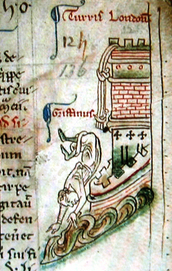 In 1310, Henry was one of the Lords Ordainers, a body of twenty one men chosen to oppose King Edward II and force him to make changes to both his household and his kingdom. 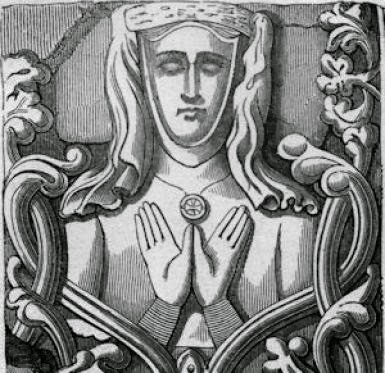 Joan of Kent, daughter of Edmund of Woodstock and Margaret Wake was born this day in 1328. Anyone who has been to the cinema to watch Bridget Jones's Baby will know of poor Bridget's predicament, that is, two men vying for her affections. 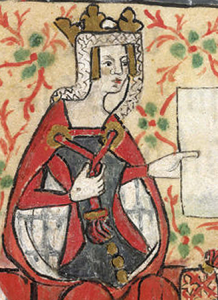 In the middle of the 14th century, Joan of Kent, a beautiful and charming princess, had much the same trouble. Where as Bridget's suitors are Jack Qwant, a billionaire and inventor of a dating site, and good old Mark Darcy a human rights lawyer, Joan's suitors are Thomas Holland a knight of the royal household, and William Montague, son and heir of an Earl. 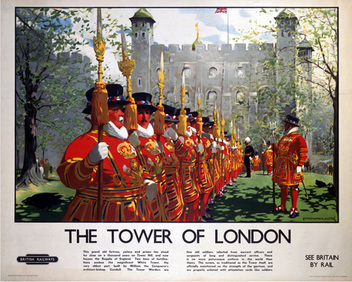 Did you know that on the 16th September 1485, following his victory at the Battle of Bosworth, the Yeoman of the Guard, the bodyguard of the English Crown we know as Beefeaters, were established this day by King Henry VII. My blog on the role of the Yeoman of the Guard and there part in the Ceremony of the Queens Keys can be read on my website. Eleanor of Castile was the daughter of Henry II of England and Eleanor of Aquitaine. 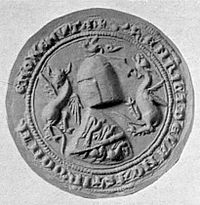 A pawn like many a noble daughter, Eleanor's marriage in 1174 to King Alfonso of Castile was all about securing and strengthening Pyrenean border and granting Aquitaine to Eleanor before her marriage went some way to achieve this. With regard to the duchy of Gascony, Alfonso later claimed the rights to it stating that it was part of Eleanor's dowry, his threat to invade the duchy came to nothing. The Scottish troops gathered on Abbey Craig, which is now the site of the Wallace Monument, they quickly realised that they were greatly outnumbered by English forces under the Earl of Surrey, John de Warenne and Hugh Cressingham, an English administrator based in Scotland. 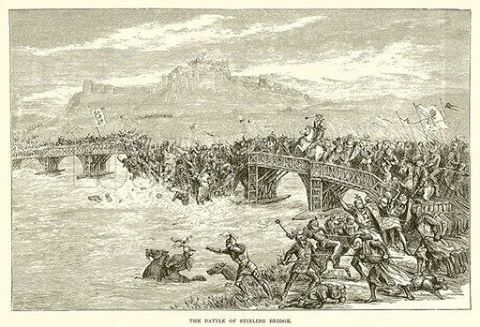 The Scots advantage, although they probably didn't know it, was Stirling Bridge which was narrow, which the English forces had trouble crossing. 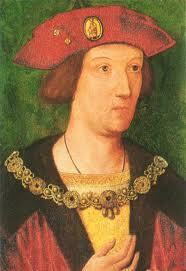 King Henry I’s only son and heir had perished when the ship in which he was travelling sank in the English Channel. 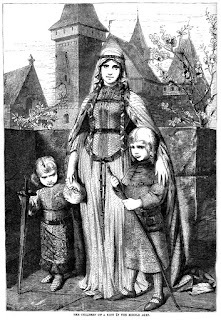 Following this tragedy, Henry made his daughter Matilda his heir when she married Geoffrey Plantagenet, Count of Anjou. 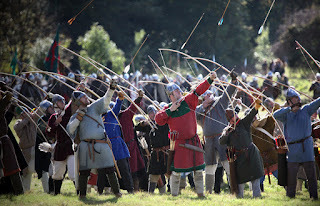 What were your family doing in 1069? Mine were watching a rematch of the Battle of Hastings. The village of Braunton in Devon lies just a few miles from the sea, its sand dunes and the Taw-Torridge Estuary make it a lovely holiday location and apleasant place to live. Although considered by most of those living there to be a village, Braunton, with over seven thousand inhabitants is actually the size ofa small town. You can walk on Braunton Burrows, a designated biosphere reserve and the first in the country to have gained this title, and along the South WestCoastal Path. South of the village is the River Taw that has made its way northwards from its origins on Dartmoor, its path changing direction until it reaches Heanton Punchardon and from there it flows south-west, diverted from its path by the aforementioned massive sand dunes of Braunton Burrows before it joins with the River Torridge, to form a tidal estuary that takes its name from both rivers. From there it joins the Atlantic Ocean.